Everyone knows they should have a first aid kit in their house. Many people have a stash of band aids, antibiotic ointment, and some aspirin in a drawer in their bathroom. First Aid kits can be bought as a package like this handy one shown below, or you can create it yourself from any drugstore. But did you know there are other places you should keep a first aid? 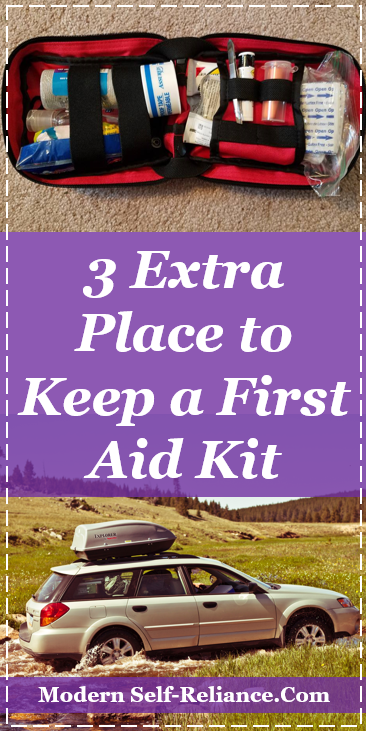 Here is a list of 3 places you may have forgotten to keep a First Aid kit. Between road trips, weekend adventures and daily commuting the average we spend a lot of time in our cars. Personally, I drive 12-15k miles a year, mostly to and from work. But my car is also the go-to car for long road trips. A First Aid kit in your car will help you be preparedness for emergencies, where ever they may happen. Whether you are on the road, at a soccer practice, or on the way to a friend’s house accidents and emergencies can happen at any time. 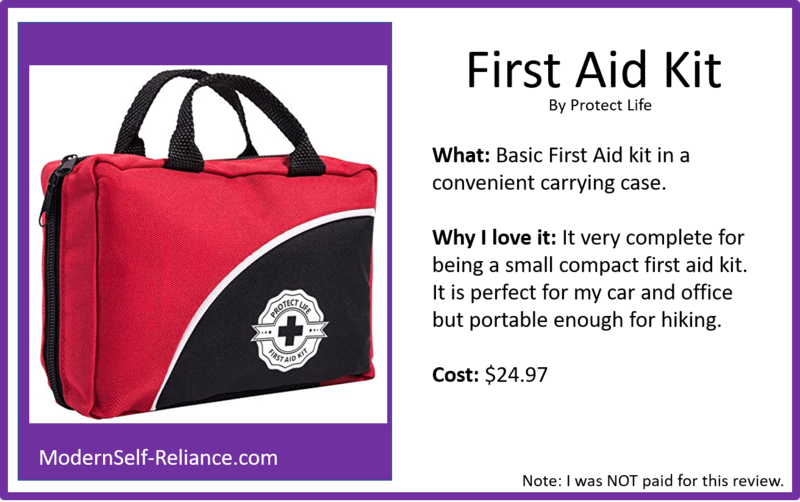 Your car First Aid kit can provide aid and comfort before you get home. 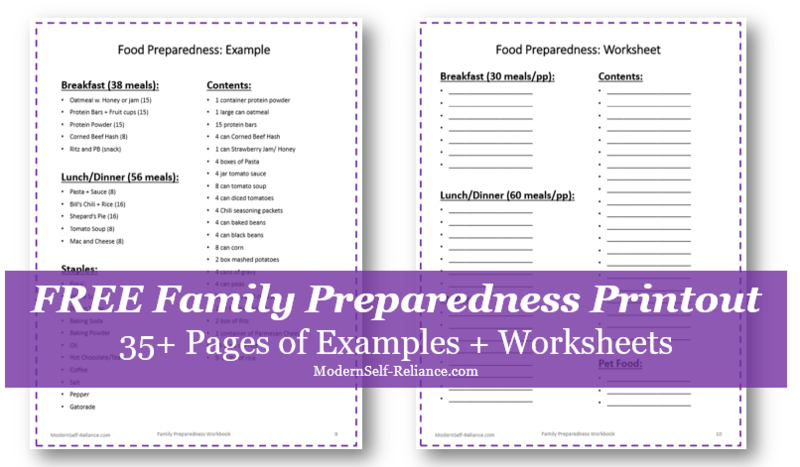 For me, I keep my 72-hr kit explained here in my car, which includes a First Aid kit. Ever get a paper cut at work or have a really bad headache? A simple First Aid Kit at work can mitigate these problems. People spend 8-10 hours a day in their office, for some this may be more time than they spend at home. This means a First Aid Kit should be available for small and large emergencies. It could also get you promoted if your boss gets a bad paper cut right before a big meeting? You never know. Do you have a bag or purse that goes everywhere with you? Maybe it holds your wallet or keys. Maybe it just holds receipts and lint. Either way, this Every Day Carry (EDC) bag should also have small first aid items. A few band aides, some painkillers and some alcohol wipes at the least. These small items can fit in a plastic bag and neatly tuck into a purse or gym bag. Tiny steps like these could save you big one day when you are bleeding with on the bus between home and work. So what should you keep in your first aid kit? Well it depends how much space you have. Your purse may not have as much room as your office or your trunk. Here are three lists of First Aid Kits: Big, Medium, and Small. What do you keep in your First Aid Kit? Do you keep a kit someplace else too? Thanks for reading! The information in this article is provided “as is” and should not be mistaken for or be a substitute for medical advice. Always consult your physician before trying any of the advice presented on this page. Always seek the help of a professional when delivering a baby. 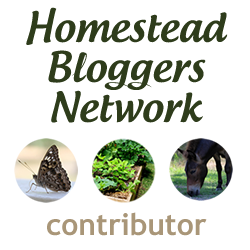 Neither the author nor www.ModernSelf-Reliance.com or the company behind the website shall be held liable for any negative effects of you putting into practice the information in this article.